Mobile World Congress 2019 is happening, and we've been trying to hunt out some shiny new smartwatches, fitness trackers and hearables, as well as the latest in the world of VR and AR. Unfortunately, there wasn't a whole load of new tech to discover, but we did manage to find a few new things to play with at the tech show in Barcelona. Below, we've rounded up all the major news from the show so far including the kit we've got our hands on. Microsoft teased its new HoloLens just ahead of Barcelona, and it's finally here. Microsoft unveiled the second-generation of its augmented reality headset, and as rumored, it's lighter and smaller than the predecessor. It even comes with double the field of view. There are also eye-tracking sensors and support for even more advanced hand gestures. All of this is running on a Snapdragon 850 Compute Platform processor. The bad news? It's still for primarily for businesses - and costs a whopping $3,500. Check out our Microsoft HoloLens 2 hands on to see what we made of it. Announced back at CES 2019, we finally got to try on Nreal's mixed reality glasses. Don't expect anything as advanced as the HoloLens 2, but it's AR that gives us hope that consumer AR isn't far away. The form factor is the real winner here, as you're not going to feel weird about wearing these at home. LG and Qualcomm are both working with the startup to make this happen, with a price that's more in the range of a high-end smartphone. Nubia Alpha is a "wearable smartphone"
Foldable displays are a big thing at MWC. Huawei unveiled the foldable Mate X to take on the Samsung Galaxy Fold - but that exciting folding technology also means that there could be a smartphone that wraps around your wrist. The folks at Nubia are showing off the Alpha, which is exactly that. It was a prototype back at IFA and now it's a product for release later this year. It'll be €549 for the 4G eSIM model and €449 for the Bluetooth model, with a US launched planned for Q4. We played around with the Nubia Alpha to find out just how bonkers this wearable smartphone is. MyKronoz is back with some new budget tech. It's got the ZeNeo, a new smartwatch/fitness band hybrid with a built-in speaker and microphone. It's €59.99 and will arrive in April. There's also the ZeRound 3 and Round3 Lite - they've got heart rate trackers. They'll come in at €99.99 and $79.99, respectively. Finally, there's the ZePods, a cheap alternative to AirPods that'll run you €79.99. So we didn't get to see or hear more about HTC's Vive Cosmos VR headset, which was officially unveiled at CES in January, but we did get a new headset in the shape of the Vive Focus Plus. 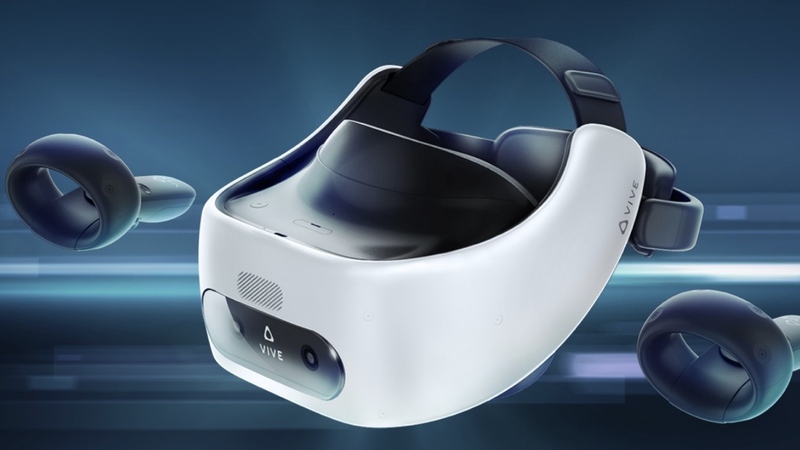 The follow-up to the Vive Focus brings a tweaked design to make it more comfortable to wear and more importantly proper controllers that offering six degrees of freedom tracking. That means a more immersive experience when you're in those VR realms. The bad news is that it's just for enterprise and will launch for interested business folk later this year. You can find out how we got on with some nurse training using the Vive Focus Plus.